October 30, 2018 Rainbow Six Siege player counts are over 40 million, and active users have grown over the past year. 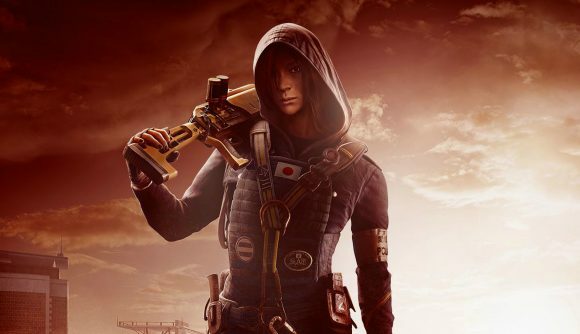 Rainbow Six Siege remains one of the gaming’s crazier success stories, moving from a lackluster launch to become one of the biggest competitive games on the market. The latest milestone is 40 million players, up from 35 million, the number announced at E3 back in June. That’s five million players in a little over three months. So it’s not just that Siege is successful, it’s that Siege continues to have success at a surprising rate. Ubisoft’s previous announcements included 20 million in August 2017, 30 million in April 2018, on through to 35 million at E3 and now today’s announcement of 40 million. There hasn’t been a significant slowdown to that growth. Those numbers will be somewhat boosted thanks to free weekends and other such promotions, but Ubisoft’s latest financial report (noted on ResetEra) also says monthly active users are up in October year over year, so more people are regularly playing now than they were 12 months ago. Maybe you can attribute that in part to a more robust Halloween event. Ubisoft’s reported numbers cover all platforms. Specific to PC, Steam Charts shows that Siege has had an impressive average of 73,000 concurrent players over the past two months, the best it’s been since the high of 83,000 back in March. Even that doesn’t account for players sticking with Ubisoft’s own Uplay launcher. If you’re trying to squeeze the most out of the game’s latest event, check out our guide to Halloween challenges and free Crimsonveil Packs. That’ll help you dress up and look your very best following the event. After all, you’ve got 40 million people to impress.